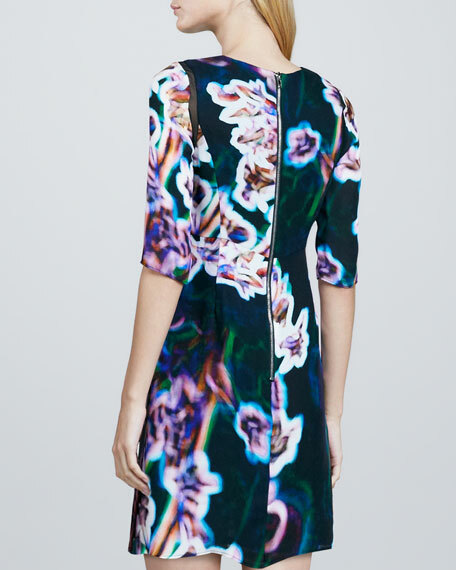 Although simple in silhouette, this Milly dress catches eyes with its bright, striking print. Painterly printed jersey with mesh insets. Model's measurements: Height 5'11"/180cm, bust 34"/86cm, waist 24"/61cm, hips 35.5"/90cm.